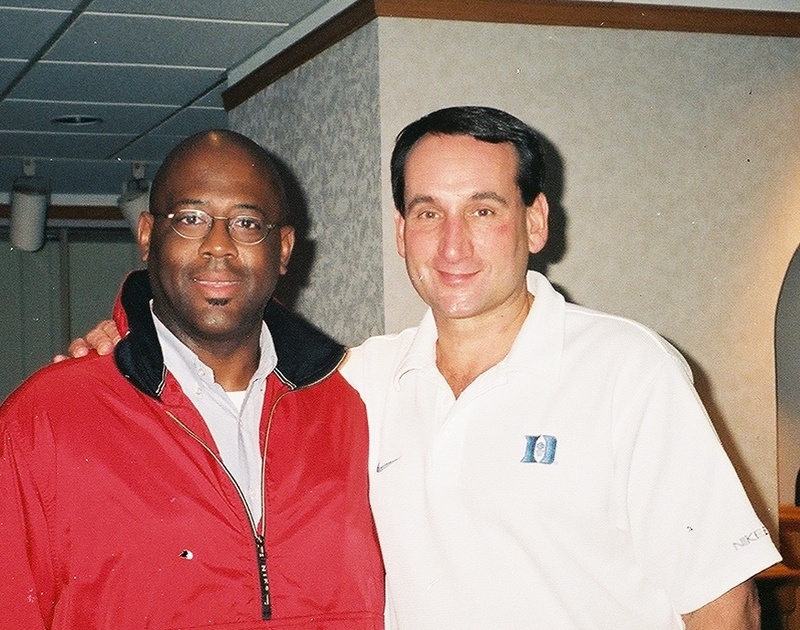 Coach O (L) & Coach K. I have studied his leadership for many years and had the honor to meet him and study up close during a weekend in 2003. Don't let anything stop you! I recently reviewed a book I read years ago, “Diamonds In The Rough”, by Barry J. Farber. I suggest that you do that, by the way–review a book that you’ve read before because you will be in a different place in your leadership development (or you SHOULD be) and you will “see” new things that you missed before! Make careful choices about who you wish to follow and who you are associated with. Surround yourself with positive models of success. Positive thinking leads you in the direction of your goals. Keep your eyes, ears, and heart open. Many people around us are willing to teach — if we are willing to learn. Listen to all advice and carefully evaluate it! Expose yourself to a variety of situations. Network constantly. You never know who you will meet that will help you reach your goals. You will learn from the credible people in the world—they’ve already done what you are trying to accomplish. You’ll flatter them by asking for their help and their advice is free. You’ll make valuable inroads and connections. Select ten people you admire and emulate, whom you would like to connect with in the next six months. Design a letter, customized to each individual, asking for a time to speak. Be creative and add your own personal flair. Here are some sample questions that you might want to ask during a mentor interview. Add your own, or course. Ask open ended questions (ones that require more than yes or no answers). Before the interview, ask yourself what you would most like to know. When did you discover that this is what you wanted to do for a living? How can I learn what I need to know about this profession? Do you have any practical advice about getting started in this field? Do you set goals? If so, how? What are the three key attributes to being successful in this field? If you were going to start all over again and you were in my shoes, what specific steps would you take? Do you know anyone in this profession, or any other, that you’d recommend that I should speak to? Final tip: Listen, serve, or move on. Listen to those people around you that are positive and successful. Serve people that are less successful than you by helping them move up. Move on when those around you are negative and pulling you down!! Well, what are you waiting for? Got out there and take your success to the next level!! !